Complete reconstruction of the Clinton Street Bridge in downtown Defiance. The bridge will be widened and provide walking/biking paths and overlooks. Reconstruction of E. High Street from Clinton Street to SR 424. Project includes new sidewalk, lighting, street trees, storm water components, sewer rehabilitation, and the reconfiguration of the intersection at High and SR 424. Funded through Ohio Public Works Commission (OPWC) and local funds. In Fall 2018, renovations began at Holgate Avenue Park. The older playground equipment was removed to make way for new playground equipment, new landscaping and a new shelter house to be installed in Spring 2019. The gazebo will remain and the trees will be trimmed surrounding the gazebo. Extension from Latchaw Drive to Olson Commercial Cold Storage. Funding provided jointly through Ohio Department of Transportation (ODOT) Jobs & Commerce Division, Ohio Development Services (ODSA) Roadwork Development (629) funds, and Transportation Improvement District (TID) funds for Defiance County. This is an economic development project. 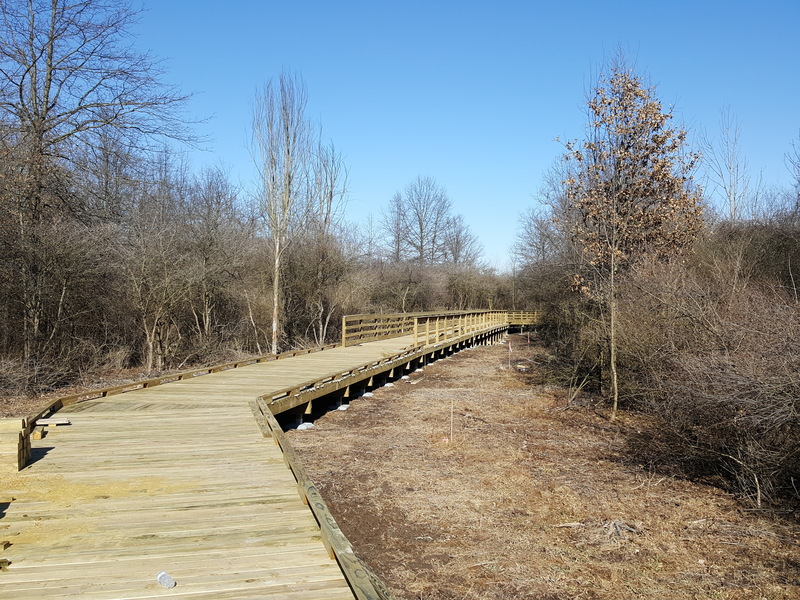 The Reservoir Nature Trail is located to the north of the Reservoir and will connect with the Canal Parkway Phase 1 Project, the walking trail around the reservoir. 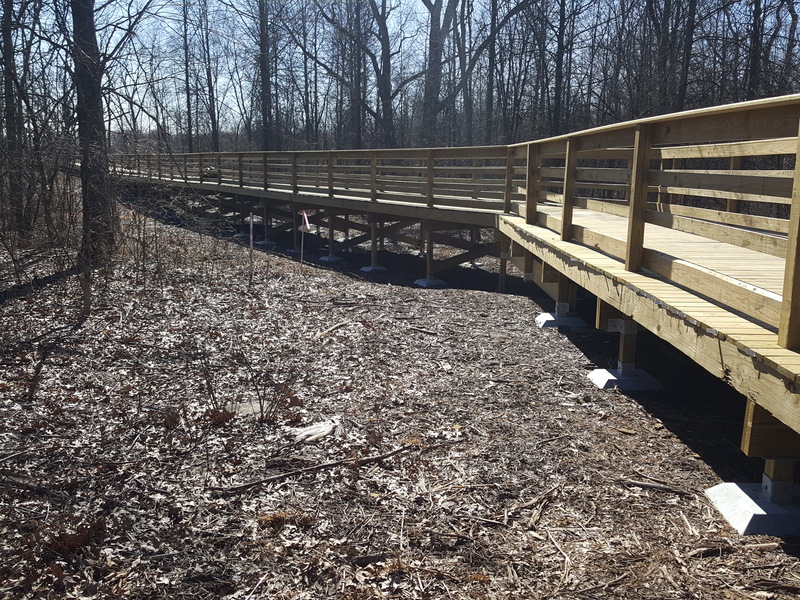 This new nature trail will be approximately 4200 feet of asphalt and boardwalk materials creating a multi-use path through the woods. 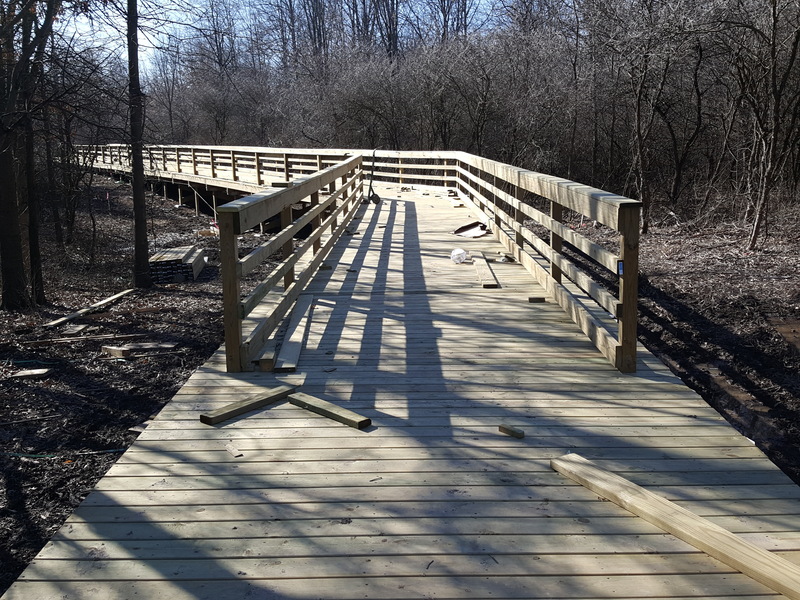 This trail will be wheelchair friendly and will provide points of interest and overlook areas along the way. Funding sources include Ohio Department of Natural Resources (ODNR) and local funds. Removal of inflow to the city’s combined sewer by redirecting existing catch basins to new/existing separate storm sewers. This project will involve replacement of various waterlines and select road resurfacing within the project footprint. Financing utilizes low interest loans and local funding. Comprehensive improvements in the Ottawa Avenue area of the Eastside Neighborhood. Projects include new storm sewers along Ottawa, Thurman, and Ayersville Avenues; new sidewalks and road repaving; new waterline on Myrna; and a new neighborhood park with playgrounds and a shelter house. The improvements address multiple concerns area residents have maintained throughout a series of neighborhood meetings starting in 2016. Multiple funding sources include: Community Development Block Grant (CDBG) Neighborhood Revitalization Program (ODSA), CDBG Allocation Program (ODSA), NatureWorks (ODNR), Transportation Alternative Program (ODOT), State of Ohio Capital Appropriations, and local funds. Karnes Avenue will be reconstructed from Ottawa Avenue to Summit Street. Multiple funding sources include: CDBG Critical Infrastructure (ODSA), OPWC, and local. Reconfiguration of a non-controlled intersection to address safety issues. Construction of a single-lane roundabout based on the recommendations of the Ottawa Avenue Feasibility Study completed by Mannik & Smith Group, Inc. in 2016. Funding through ODOT Safety Program and ODOT Small Cities Program. Public Meeting Scheduled: August 16, 2018 from 6:00 p.m. to 8:00 p.m.
Public Meeting Scheduled: December 18, 2018 from 6:00 p.m. to 8:00 p.m. When a Road Closure or Detour is needed. Road closures or detours are generally needed when various infrastructure related construction is taking place in the public Right-of-Way to such an extent that the thru travel of the roadway is impaired. The roadway may be Closed or Closed to thru traffic. If a road is signed Closed, it cannot be accessed. If a road is signed Closed Local Traffic Only, or Closed to Thru Traffic, it can be accessed by the local residents or businesses and patrons to the businesses in the affected area. Thru traffic, however, is not allowed to use the roadway.